Ceramic Fabrication | IJ Research, Inc.
We offer a variety of ceramic fabrication methods for molding and grinding. 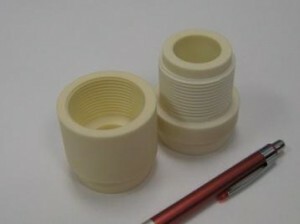 Molding techniques include extrusion, slip casting, isostatic pressing, hydraulic pressing and sintering. Grinding methods include green machining, precision diamond machining, lapping and polishing. Our precision post-sinter machining allows us to produce complex geometries with precise tolerances (+/- .0003”). We are familiar and experienced with practically all fine ceramics. 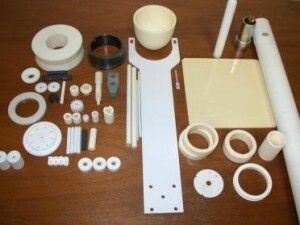 We produce all popular ceramic shapes: boats, crucibles, plated, rods, tubing, rings, balls, bolts and nuts, etc. Please click for a PDF copy of the brochures, Ceramic Fabrication .